If you’ve ever wanted to experience the scientific impossibility of simultaneously staring into a black hole, contemplating the human condition, and trading stick-on earrings with your besties in the early 90s, then the Lisa Frank Facebook page is for you! It seems that post-fall of the Rainbow Gulag, our favorite psychedelically-inspired designer has taken to creating memes that both capture the subtextual universal angst of humankind and make you nostalgic for the eye-numbing side effects from staring at that many colors on a trapper-keeper for too long. In short: this is what would happen if the essence of every French New Wave film and the club kid in the chicken suit from Party Monster had Internet babies. ...because how does one measure the human experience, really? Unicorns, like death, have no dreams. 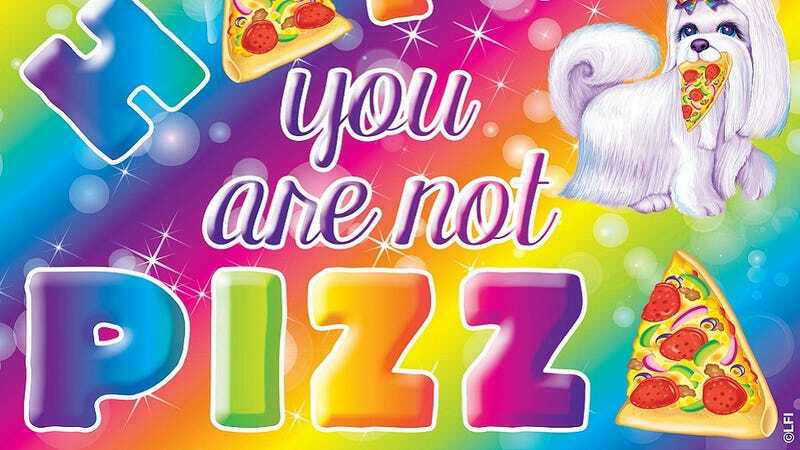 They might not be tarot cards inspired by Lisa Frank designs, but they sure are something. Definitely something.